It's Friday the 13th, a day associated with spooky vibes and ominous forebodings, so I thought it would be a good time to do a bit of a "Flashback Friday" and go back to Halloween Time at the Disneyland Resort last year--specifically Mickey's Halloween Party. 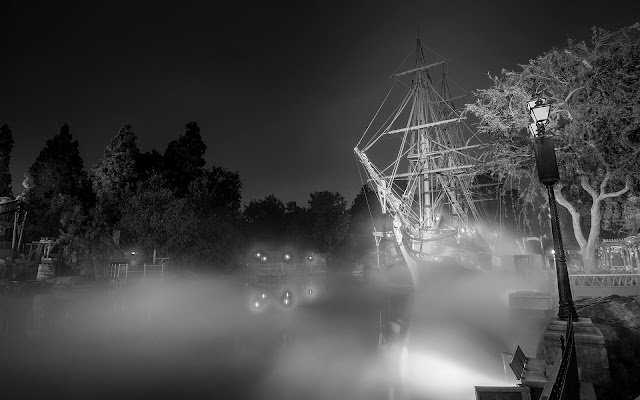 One of the coolest sights of the event is seeing the Rivers of America fogged out. 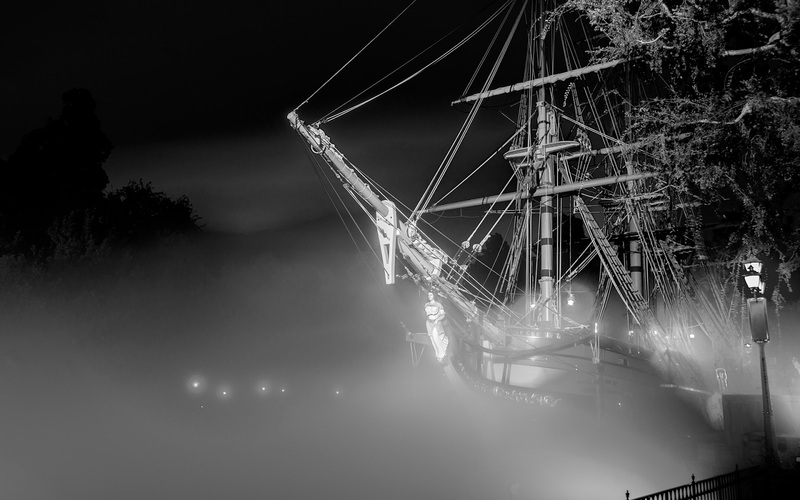 With the S.S. Columbia docked at Frontier Landing, the effect is deliciously eerie, looking like a haunted pirate ship floating through the mist. 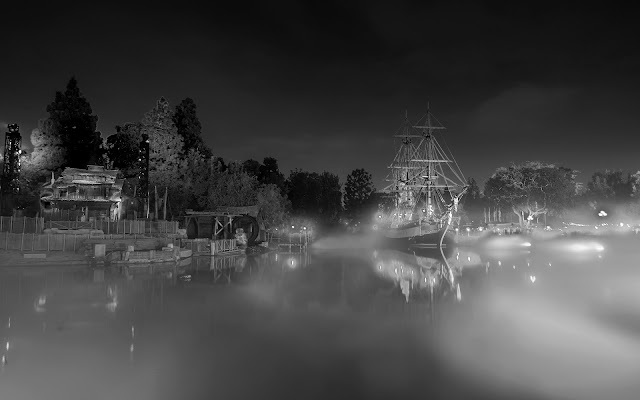 It fits the atmosphere, don't you think?